Cost to repair air conditioning varies greatly by region (and even by zip code). Get free estimates from air-conditioning and heating contractors in your city. Cost to repair air conditioning varies greatly by region (and even by zip code). The average cost of repairing an air conditioning is $225. How much does it cost to repair an air conditioning? Air Conditioning not only cools a living space, it also circulates and filters the air which helps to remove harmful pollutants such as mold and pollen. This helps allergy and asthma sufferers breathe easier by reducing the amount of airborne irritants in a home. The number one cause of an air conditioner malfunctioning is a dirty or clogged air filter. When the filter becomes clogged the unit becomes starved for air and starts to overheat. When an AC unit overheats it shuts itself off to prevent damage. When the AC is not properly maintained and shuts off due to a clogged drain, clogged filter, or dirty unit the homeowner will be faced with paying not only the cost of the maintenance but also the additional cost of a service call which averages from $80-$190. The total price to repair a whole house, single 3-ton air conditioner if it is shutting off from not being maintained properly is about $175-$300. Unit continues to turn on and off. Higher than normal energy bills. Ice buildup on the unit, lines, or compressor. Unit freezing up from a freon 1 leak. Humidity is not being pulled out of the indoor air. Musty smell if humidity in the home rises above 60 percent. The lights in the home dim when the unit starts. Capacitors are the parts of an AC unit that break the most frequently, however a unit is made up of plenty of other other parts that can also break and require replacement. An AC unit is a highly technical appliance with both high- and low-voltage circuits which can be deadly if improperly handled. Most HVAC technicians charge a basic service call fee which pays for diagnostics followed by additional fees for labor and parts. The fee quoted for parts usually includes the labor required to install the parts and the price of the parts. The fee for a basic service call averages $80-$190. Once a diagnostic assessment is made then the fee for parts and labor starts. Often, when an older unit starts to break down the damage and cost of increasingly labor-intensive repairs comes close to the cost of a full replacement. Often the fee to repair a unit is far cheaper than to replace the system. 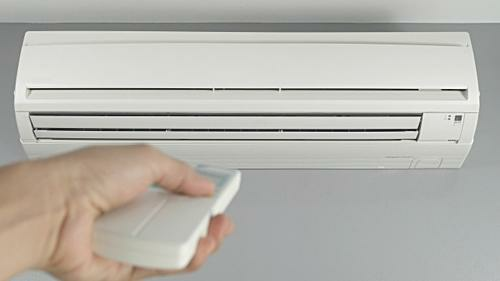 Most AC units will last at least ten years with regular maintenance. During that time frame, it may require minor repairs and parts replacements. New AC models also come with a 10 year warranty for parts but the warranties do not cover labor. The cost of major or big repairs often exceeds the cost of purchasing a new unit. In such a situation, it is usually in the homeowner’s best interest to purchase a new unit that comes with a complete warranty instead of nursing along an older, inefficient unit that continues to suffer from broken or malfunctioning parts. New AC models are highly energy efficient. Newer models feature what is known as a ‘SEER 5’ rating. The term SEER stands for ‘Seasonal Energy Efficiency Rating.’ To figure out an AC unit’s SEER rating, a ratio of cooking in British thermal units (BTU) is figured with the energy consumed in watt-hours. AC units older than 15 years usually have a SEER rating of 6 or less but the new AC models boast SEER ratings of at least 14 and some even have 18 or higher. 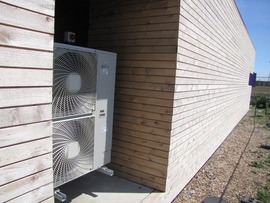 A new unit will provide considerable energy savings compared to an older model. An AC unit requires either yearly or biannual maintenance. In many cases, maintenance must be performed by a licensed AC company to maintain the unit’s warranty. The average cost of this regular AC maintenance is $70-$100. During a maintenance call, an HVAC technician will inspect and clean the inside and outdoor units, change or clean the filter, and clean out the unit’s drains. The HVAC technician will also check the system’s coolant levels to make sure the unit is functioning properly. Regularly check the air filter for accumulated debris. Change or clean the filter if it looks overly dirty between maintenance calls. Remove all vegetation overgrowth or fallen leaves from around and on the outdoor unit. Turn off the power at the circuit breaker and hose off the outdoor unit to remove any accumulated debris. A simple change-out of an old HVAC system for a new HVAC systems costs $6,000-$8,800. A full replacement of not just the HVAC system but also the ductwork averages $9,200-$12,300. A full HVAC installation in a new residence averages $13,100-$17,000. Insurance such as homeowners insurance does not cover HVAC repairs. In some situations, a home warranty insurance plan may include the cost of repairs. If your air conditioning unit is not working then you should check the thermostat and the circuit breaker before calling an HVAC repair company. The thermostat may be experiencing problems or the breaker might have tripped. Checking such things helps you avoid paying for a service call when it’s not needed. You should always keep your air filter clean. Ideally, the filter should be cleaned or replaced once a month. When you call to make an appointment with an HVAC professional you should know the type of equipment that is installed in your home. 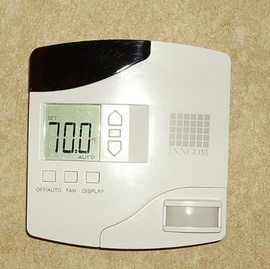 Make note of the brand name, the model of the unit, and the approximate age of the system. You should also let the company know if the unit has any warranties or if you have a home warranty on your house that covers the HVAC system. If you have an AC FAQ booklet then you can read through the booklet to determine the possible cause of any of the unit’s symptoms. Don’t ignore any early warning signs that your unit might be experiencing trouble. Even if the problem seems to be minor, if you delay repair then the problem could just get worse. You could end up paying higher energy bills, replacing even more parts, ending up with a fully broken system for a while before you can get an appointment, and/or ultimately having to replace your whole system instead of making a small repair. Any HVAC company that you call to work on your equipment should be certified. Ask for the company’s NATE AHRI, and EPA 608 certifications. NATE stands for the North American Technician Excellence certification. The AHRI is offered by an independent, third-party organization called the Air-Conditioning, Heating and Refrigeration Institute (AHRI). The EPA 608 certification authorizes HVAC service technicians to work with refrigerants. Before you make an appointment to have an HVAC service technician come out to your home you should always ask about the company’s financing for larger projects. You should also ask if the company gives free written estimates and if they provide any warranties on their parts or labor. A service call will average from $80–$190. An after-hours service call costs even more depending on the company. Once the technician is at your home you will be faced with the additional cost of labor and any parts used to repair the unit. The overall cost of a service call and the fee to unclog a drain averages $150-$290. If your air conditioner has accumulated ice on the unit then there is a problem. You will need to turn the unit off and let the ice melt away. While the ice is melting, you will need to call an HVAC company to come diagnose the problem and fix the unit so it no longer freezes up. You can trip the breaker that operates the AC unit to reset it. Your air conditioner may have a part malfunction or be low on freon. Depending on how extensive of a change out you need, the size of the unit, and if any ductwork is required then you will pay between $6,000 and $12,300. An air conditioner will use 3000 to 5000 watts of power every hour and typically run for 9 hours per day in hotter months. The average cost of electricity in the US is $0.127 per kWh, so the average hourly running cost is $0.38-$0.53. A coil replacement averages $660-$1,250. 1 Freon: A brand name for the types of refrigerant commonly used in air conditioning systems. It is also often used as simply another word for "refrigerant"
5 Seer: An acronym for Seasonal Energy Efficiency Rating, measure of heat pump and air conditioning efficiency (as defined by the Air Conditioning, Heating, and Refrigeration Institute in its AHRI 210/240 standard). How much does it cost to repair air conditioning in my city? Cost to repair air conditioning varies greatly by region (and even by zip code). To get free estimates from local contractors, please indicate yours.